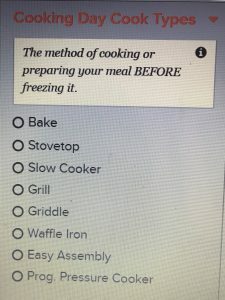 Freezer cooking with menu planning help! 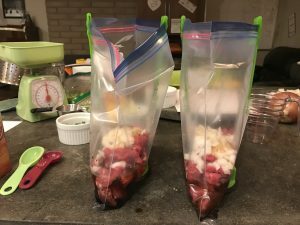 Have you ever prepared freezer meals for your family? 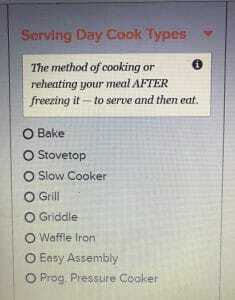 It’s the process of preparing and cooking up a bunch of meals all at once and then freezing for a later time. It is really nice to have meals already prepared and ready to go when you are in a rush or the day has been crazy! I’ve done freezer meal prep in the past for a few recipes. 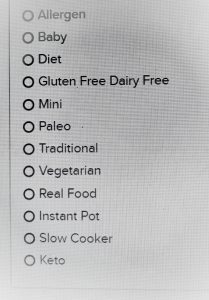 Usually, I just pick a few meals for either the crock pot or the oven and buy all the supplies to make them. Then I would spend the day making them all and sticking them in your freezer. The mess and work all happens at one time and then done. It does take some planning and it is work! But I think it can be really worth it. And you can add fun to it by inviting a friend to do it with you! 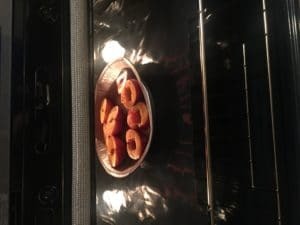 I especially start thinking about this kind of prep right before a new baby arrives… since dinner time can be very unpredictable. If you have young kids then you know that toys can very easily take over your life! Especially when birthdays and Christmas come around!! 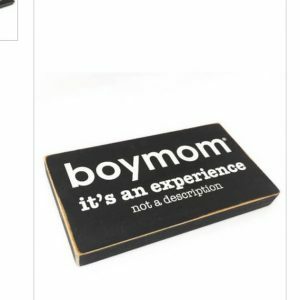 We love that our boys get fun new things and that they have family and friends that love on them! 🙂 But this lady quickly became overwhelmed by the mess!! Since I know that we can’t be the only ones, I thought I’d share the method that has worked for us. It may not be what works for everyone but if you need to try something new, give it a shot!! So, with so many toys we started with trying the fabric cubes in a bookcase idea… something similar to this. I even made labels with pictures of the different kinds of toys. I like the idea that it would look cute, organized and still be accessible to the boys. This simply did not work for us. at all! I will say that this method works for some people. especially if you have one child, who is still young and just now getting into toys. So, we moved everything to big plastic tubs. This way our whole collections of trains, blocks, cars whatever will fit in the same tub and has a lid!! Still, having them in the play room meant that there were days that every bin was emptied… even if we tried the idea ” you have to put away one before you get the other one out. ” thing. Eventually what I decided to do seemed drastic, but it works so well for us!! ALL of the tubs of toys found a place in the garage. Every one of them!! The boys know that they get 1 or 2 tubs into the house at a time. When they are ready for something else, we pack them away and get another one from the garage! 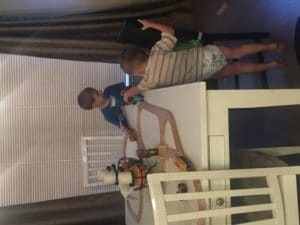 Usually it’s trains and cars that stay in the house but everyone once in a while William will remember a certain toy and will ask where it is, so we switch them out! This has brought a ton of peace to our play room! It’s so much easier to clean up when everything goes into the same tub! And I realized the boys weren’t even able to really play when they had so many toys surrounding them! 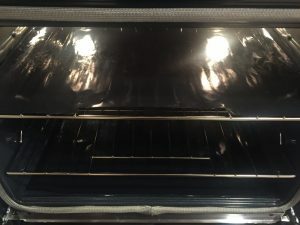 I hope this helps if you haven’t found what works for your house! 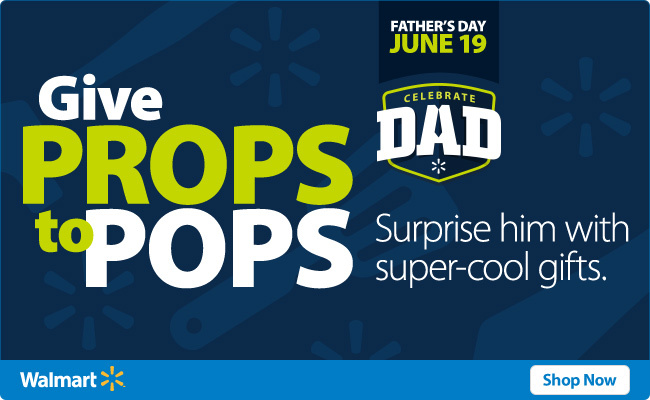 With Amazon Prime we can still get some amazing gifts in plenty of time for Dad’s big day! And spoil the men in our lives properly! If your budget isn’t quite that big, don’t worry, mine isnt’ either! There are still some great deals in the tool department. there are lots of items to browse through! Have more of a techy man? If you are looking for something specific, leave a comment and I can help you look for it! Oh and don’t forget Target.com and Walmart.com are still great options with their order online, pick up in store features! 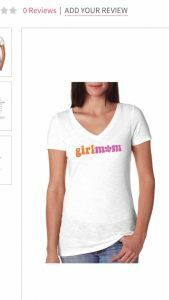 For the Love of Target shopping…..
Do you love shopping at Target? It’s a great place to shop for so many things! And even if you don’t want to deal with couponing and stock piling.. you can still get some great deals! The easiest way to get a deal EVERY time you shop is with the Target RED Card. (either Debit or Credit) The Redcard gives you 5% off everything you buy in store or online. AND if you are shopping online at Target.com you will get free shipping every time you pay with your card! Plus you get an extra 30 days for returns on your purchases! And did you know you don’t have to go into the store to open up a gift registry? 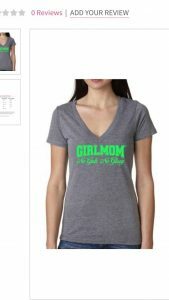 You can create and add items to a gift registry on your computer or tablet or phone.. whatever you want!?! Pretty exciting! 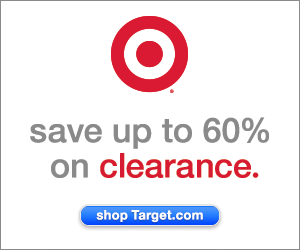 Check out these clearance savings! 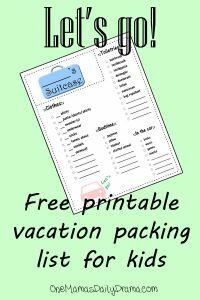 We haven’t done much vacationing as a family yet so there are some items we just need to invest in for this and future trips..Just in case you need to upgrade some traveling “necessities” here’s a fun handy list! Suite case organization?? yes please! I just think those are so awesome! 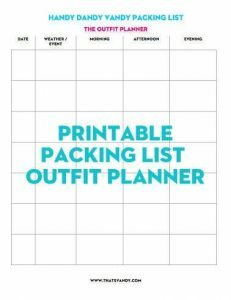 For the kids suitcases I decided to try this idea… and I’m kind of in love with this plan!! 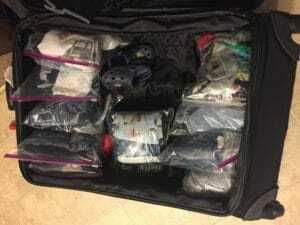 Each bag has a shirt, pants, and either a diaper or undies (depending on child) for the day! 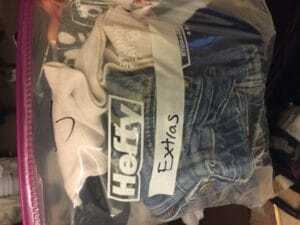 then because we are talking about the children there is an “extras” bag for each. need suite cases? Amazon has some great options! These pinterest ideas for organization are Ah-mazing!! I just love lists!! These help me keep all my thoughts in one place as I think about all the things each person needs! And this probably goes without saying but I’ll say it anyways 🙂 It’s always a good idea to check local weather at your destination before you pack! And if you don’t have a vacation planned yet, Don’t forget about Groupon Getaways! Whatever you do this summer, wherever you go, I hope you stay safe, have fun, and make memories! Yay for summer family time! I want to tell you all about a company I am super excited about!!! Check out this tank my hubby bought me this week?? 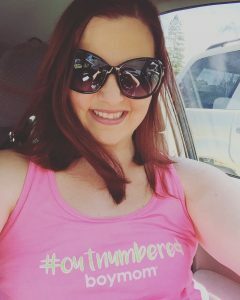 I am super impressed by the quality of this tank… the fit is nice, the material is soooo soft and I might have to wear it every day this summer!!!! 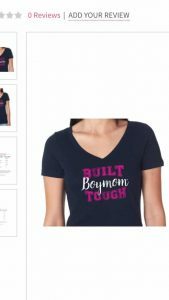 I immediately jumped on their site to see what else they have and discovered that Boymom designs is a really cool company and there are so many things on my “wish list” now! Also, I found out I can be affiliated with them here on Love and Scribbles! Yay! 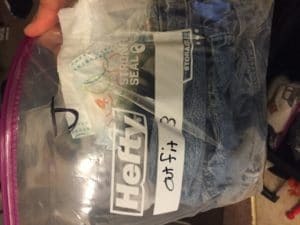 They gave me a coupon code for 60% off and I just couldn’t wait to share it with you!! 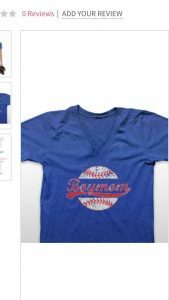 Check out the story behind the Momma who started boymom designs…. I mean look at all this stuff??? There is even a line for Grandmothers! 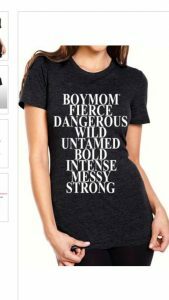 and you’ll get 60% off!!! Oh there is even a pretty rad Dad shirt for sale on the website… Father’s Day IS coming soon after all! 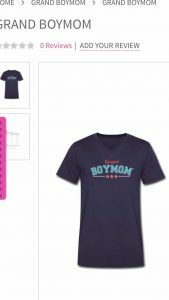 *Boymom is a registered trademark and cannot be reproduced.